Officers from Police Scotland are urging members of the public to be on their guard after a small number of victims were scammed out of a total of £1.2million in the past three weeks. Reports have been received of significant amounts of money being transferred from accounts during scam calls made in the North East area, known as ‘vishing’. Police Scotlad has not released the number of victims affected or more details of where they live in order to protect their identities, however given the significant amount of money involved they are taking this opportunity to PLEASE urge people to be on their guard. Scams like these are completely sickening, with the criminal at the other end of the phone having no regard for their victim and the devastation their actions will cause. Pension pots and retirement funds can be stolen within a matter of minutes, with hard-earned savings wiped out without warning. Sadly the victims deliberately targeted in these cases are often older or someone that’s perceived to be more vulnerable. They prey on people’s good nature and use scare tactics. It is cruel, it is callous and it is beyond comprehension. 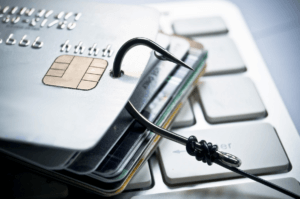 Voice phishing or ‘vishing’ is the criminal practice of using social engineering over the telephone to gain access to private personal and financial information from the public for the purpose of financial reward. In these most recent cases the callers have pretended to be from their victim’s bank saying they are investigating fraudulent activity by staff within the organisation. They ask their victim to move substantial amounts of money into foreign accounts for safe-keeping and request that they do not report the call for fear of ruining the investigation. The fraudsters also induce the victims to attend their own bank or building society personally to transfer the money abroad, providing the cover story that it is for some form of international investment. Let me be clear that banks will NEVER make phone calls like this asking you to move money, in particular into a foreign account. If you do receive such a call, hang up and call Police immediately. You wouldn’t hand over your life savings to a stranger on the street, so you should NEVER consider transferring money to a stranger on the other end of a phone. Banks will also NEVER ask you to personally attend your local branch and make a transaction to a safe account. This type of scam isn’t new however the people who use them are getting more professional, sometimes using local accents and elaborate cover stories to draw you in. Often people who fall victim to this type of scam feel foolish as they think it will never happen to them, however these criminals know what tactics to use to force you into acting in a way you never imagine you could. At times these people have had daily contact with their victims a period of weeks to enhance their credibility and encourage the victims to carry out the transactions. Again, banks will NEVER do this. Fraudsters have been known to pass themselves off as a member of any legitimate organisation, not just your bank, and they might make attempts to obtain your security or financial details instead of you being the one to transfer money. Let me be clear that banks will NEVER call and request that you disclose personal financial details, especially PIN numbers. If a call seems suspicious put the phone down. We work closely with banks to help advise people on how to spot this type of fraud however we need everyone to be vigilant and look out for family, friends and neighbours, particularly if they are elderly or vulnerable. Advise them on the signs to look out for and help them have the confidence to say no and to hang up. Anyone with concerns about scam calls should call Police on 101.